A unique retail and leisure development located in the heart of Knutsford, this scheme has been sensitively designed to reflect the architectural heritage of this historic town. Conversion of the existing Royal George Hotel provides part food/drink, offices and retail units, the demolition of buildings to the southern side of the scheme provides a new A3 unit with 3 apartments over two and three storeys. 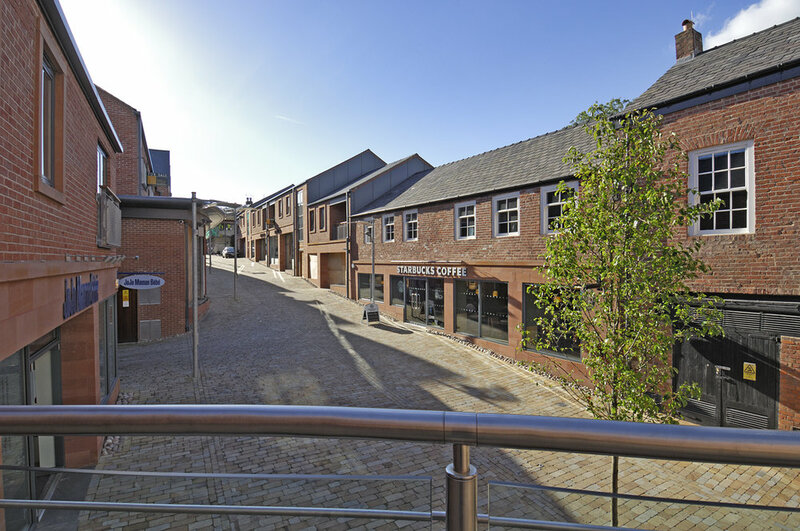 The development to the rear comprises of 12 flats and 11 retail units with under croft parking.